In some cases we provide proxy servers for clients with poor ftp speed from our servers. If you have proxy details from us, below you can find a tutorial how to configure a proxy server with the most popular ftp clients. 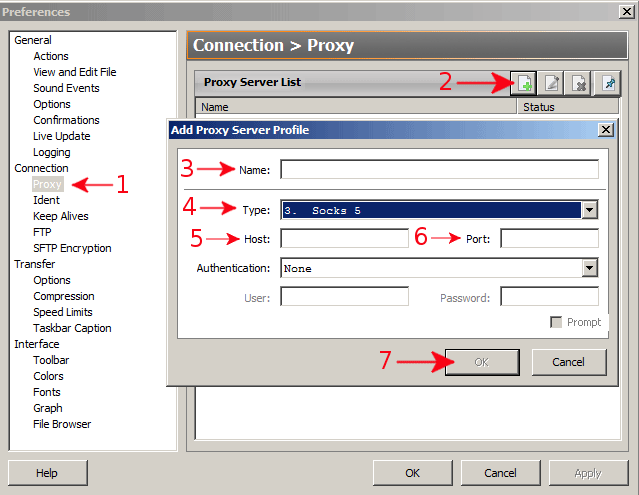 Next you fill in the fields required in Generic proxy with the settings (Proxy type: SOCKS 5, proxy host and proxy port). 1. 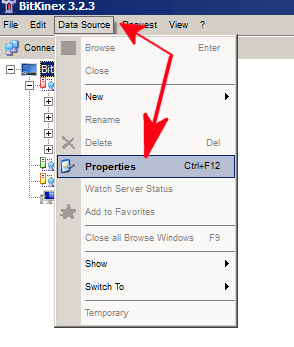 Expand Connection -> expand FTP and chose Generic proxy. 2. 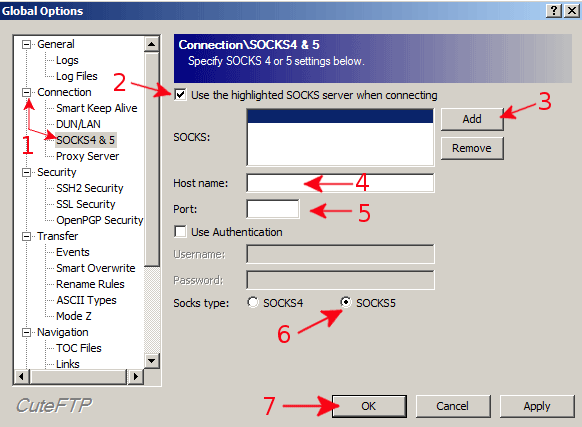 Choose the type of proxy server, it should be SOCKS5. 1. Expand Connection and choose "SOCKS4 & 5"
2. Tick „Use the highlighted SOCKS server when connecting”. 1. 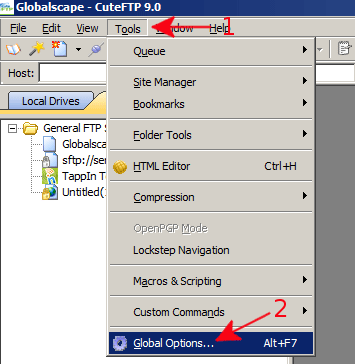 Choose Proxy in left Menu. 2. Next in the proxy bookmark you use the button „New Entry”. 3. Name it the way you want. 4. Proxy type, choose SOCKS5. Now you need to confirm that you want to use the configured proxy server. 1. 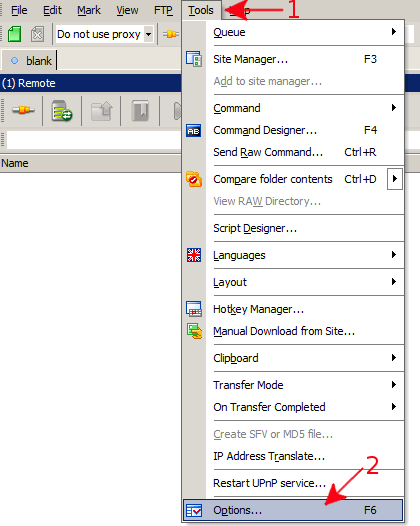 In Current Proxy settings drop down menu choose your saved proxy server. 1. In the left menu choose "Firewall/Proxy". 2. Choose the type of proxy "SOCKS 5".